It started as a great idea for the line-up - an established, respected and well-loved artist, often from a different musical world to more traditional Glastonbury fare, playing on a Sunday afternoon to lift spirits before the final push, and it's become something of a sensation with its own name, the 'legends slot'. Glastonbury 2017 was as good a treat as ever as legendary Bee Gee, Barry Gibb, performed in the much loved Sunday teatime slot. 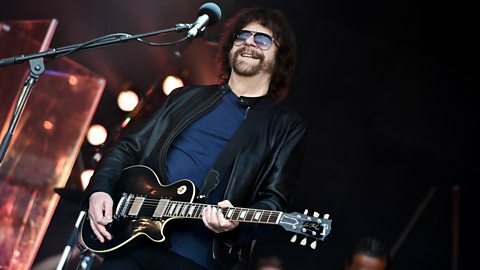 Jeff Lynne's ELO made the slot their very own in 2016 with a storming set of much-loved classics. Elder statesmen of music like Johnny Cash and Willie Nelson had played on Sunday afternoon, but it was Tony Bennett's performance in 1998 that would go on to define what the slot was all about. He brought great feeling, style and class to Pilton Farm after a weekend of atrocious weather. Arctic Monkeys had covered Diamonds Are Forever during their headline set on the Friday, uniting the generations in love for Dame Shirley Bassey, who was terrific on Sunday afternoon, and who could forget her gem-encrusted 'DSB' wellies? Old hands like Neil Diamond just know how to put on a show, and of course it helps if you have a string of classic hits like I'm A Believer, Sweet Caroline and Red Red Wine to perform. In 2008, we all remembered just how good a songwriter Neil is. It was big news when Dolly's appearance at Glastonbury was announced, but no one could have possibly imagined that she'd pull the biggest crowd of the weekend, single-handedly turning the legends slot into a booking as coveted as being asked to headline. 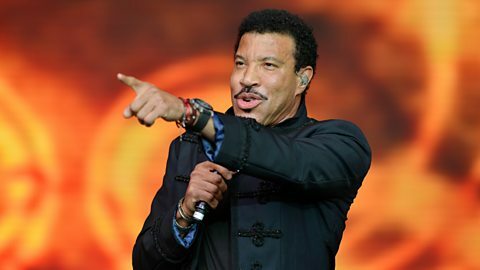 Lionel called the Eavises very soon after Dolly's appearance and asked whether they'd consider him for Glastonbury 2015. He was the first booking to be announced and loved every second of his performance. We loved it, too, and thanked Lionel by sending his greatest hits album to No. 1 in the UK chart the week after the festival.